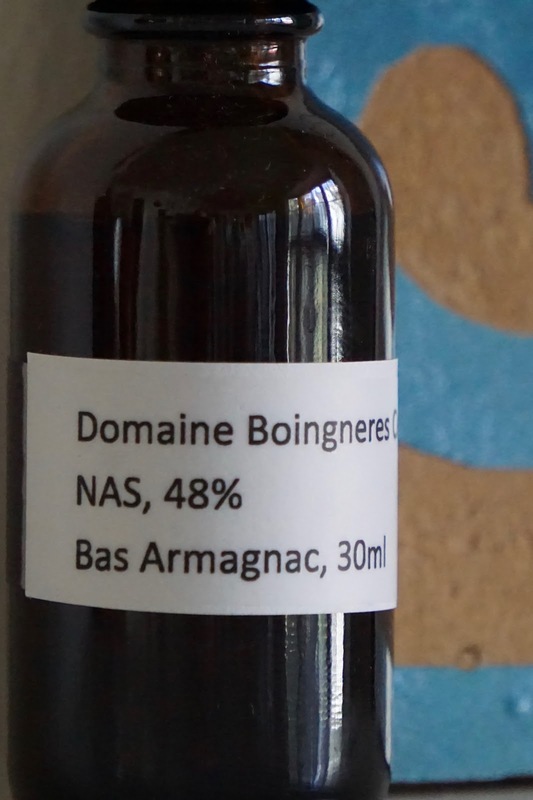 Domaine Boingneres Cepages Nobles (48.0%): Time to switch to brandies in our whisky-alternative January... I have a no age and also a no vintage statement Armagnac from Domaine Boingneres. Domaine Boingneres is founded in 1807 by Jean Boingneres and run by the same family till today for six generations. They grow their own grapes, distill their own mash and age the spirit on their own land using casks made from new Gascogne wood only. Nose: A little thin... Light and young. Hyacinths, tarte tatin, spiked cider and pear compote. Diner style banana cream pie, sugar cookies and aged aquavit. Palate: Way more textured than the nose suggested. Honey syrup, vanilla extract, cinnamon and nutmeg. Toasted oak, white pepper and crystallized ginger. Nothing is more that the other... Incredibly well balanced. It also taste older now in spite of the young alcohol aromas I got on the nose. Quince paste, candied orange peel. Finish: Long, very long... White pepper, burn of sweet candied orange and baklava syrup. Cinnamon and cloves. Overall: It's a very easy drinking and amazingly well blended Armagnac. It is young and a little thin on the nose but at the end it delivers a full spectrum of flavors with an impressive balance. I quite enjoyed it. Thanks to Derek Kendzor for the sample.